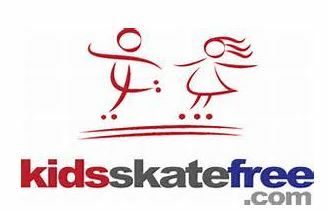 Home /Blog/Kids Skate Free — Free roller skating passes for kids this summer! Looking for some frugal summer fun? Each skating rink will have different restrictions, but most will allow kids 12 and under to skate for free. If your child doesn’t bring their own skates, there will be a nominal fee for skate rental. Check to see if there’s a local rink in your area participating here. Psst! Don’t forget kids can also get two free games of bowling every day this summer!